November’s Games With Gold look to get you ready for Battlefield with Battlefield 1 headlining the month. Check out the full list of November’s ‘Games With Gold’ below. Yep, Battlefield V is releasing in just a couple weeks but check out its predecessor which is titled numerically several slots wrong. Not that there’s anything wrong with Battlefield 1 and if anything with EA and Dice’s weird marketing this year for Battlefield V this may help people get more excited for the game. Fight your way through epic battles ranging from tight urban combat in a besieged French city to the heavily defended mountain forts in the Italian Alps or frantic combats in the deserts of Arabia. Discover a world at war through an adventure-filled campaign, or join in epic multiplayer battles with up to 64 players, and adapt your tactics to the earth-shattering destruction and dynamic weather. Fight as infantry, lead horse charges or take control of amazing vehicles on land, air and sea, from tanks and biplanes to the gigantic Behemoths – some of the largest vehicles in Battlefield history. A fun, addictive and often frustrating game, Race the Sun has one goal and one goal only -- race the sun. This means staying in daylight, not crashing and evading oncoming objects in front of you while in your super fast future vehicle are a must. The original and the hardest to go back and play. But if the recent release of Assassin’s Creed: Odyssey has you chomping for some AC history it might be exciting. 1191 AD. The Third Crusade is tearing the Holy Land apart. 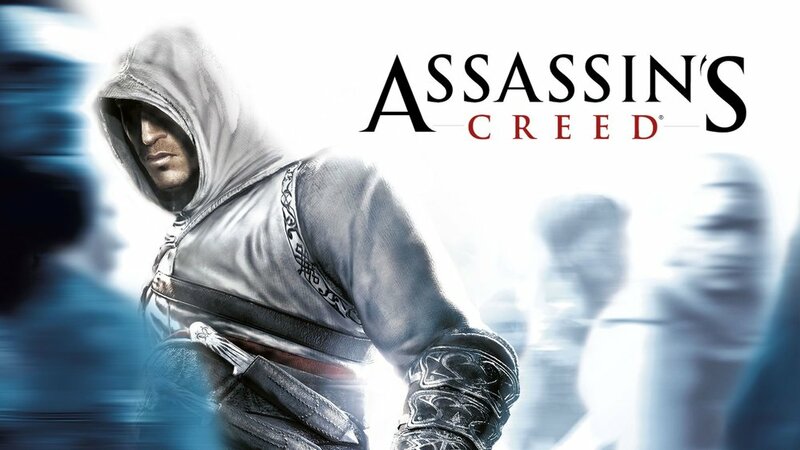 You are Altair, a Master Assassin sent to kill corrupted leaders profiting from the war. As you carry out your missions, you find yourself tangled up in a conflict that threatens not only the Holy Land, but the entire world.Master the skills, tactics, and weapons of history's deadliest and most secretive clan of warriors. Plan your attacks, strike without mercy, and fight your way to escape. The gory and gruesome tale through the nine circles of hell might have been better suited for October, but it’s a welcome addition. Lots of slashing and bosses to be had on the quest to save more than your own soul in Dante’s Inferno. Based on the immensely influential classic poem, Dante’s Inferno takes you on an epic quest of vengeance and redemption through the Nine Circles of Hell. You are Dante, a veteran of the Crusades who must chase his beloved Beatrice and try to free her soul from Lucifer’s grasp. As your pursuit takes you deeper into the pits of Hell, you must battle ever more fierce and hideous monsters—while also facing your own sins, a dark family past, and your unforgivable war crimes.